Political representation is at the core of liberal democracy. In modern society major agents of representation are political parties. The responsible party model describes the dominant way of how representative democracy works. In this model delegation runs from voters to parties and from parties to representatives in parliament and government. How does a match come about between what parties’ off er and what voters are interested in to get? This is the question which we have tried to answer. 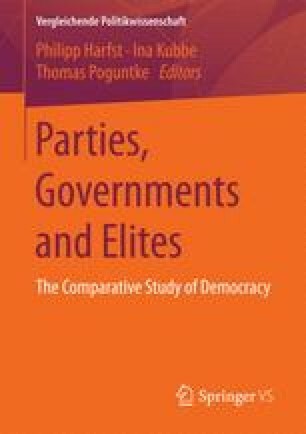 We rely on a unique dataset that includes information about Left-Right policy positions of political parties and their voters in ten central and east European countries for the period from 1990 to 2012, covering 65 elections and more than 250 parties. The two dimensions of supply and demand explain the most of ideological congruence between parties and voters. Voters have to make an adequate choice and parties have to present a related programmatic profile. On the one hand, our empirical results show that the diff erentiation of political supply, the possibility to properly recognize a political party, and the clarity of the parties’ policy positions contribute positively to political policy representation. On the other hand, whenever parties try to attract as many voters as possible by blurring their programmatic identity, this office-seeking strategy runs counter enabling ideological congruence between political parties and party supporters.